Werner Jahnel joined LALIVE in 2008 and has been based in the Zurich office since 2010. He specialises in private wealth, advising private clients, family offices, foundations and trust companies on complex international estate planning and inheritance law matters, succession planning, divorce and family issues. He is certified by the Swiss Bar Association as a Specialist in Inheritance law. Having practised international arbitration for two decades, he currently acts as counsel and arbitrator in commercial and private client related disputes. Werner Jahnel is a member of the Society of Trust and Estate Practitioners (STEP), Successio and the Swiss Association for Arbitration in Inheritance Matters (SVSiE), the International Bar Association (IBA) and the Zurich Bar Association. He is also a founding member of the Association of Young Austrian Arbitration Practitioners (YAAP) and a founding member of the Barcelona branch of CEA-40 (Spanish Arbitration Club). He is also a member of ASA, ArbAut, CEA (Club Español de Arbitraje), the German Institution of Arbitration (DIS) and the Liechtenstein Arbitration Association (LIS). He is admitted to the list of arbitrators of the International Arbitral Centre of the Austrian Federal Economic Chamber. 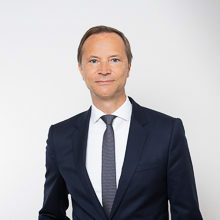 Werner Jahnel is ranked by Chambers’ High Net Worth Guide as a leading practitioner in Private Wealth, as well as by Legal 500 as one of the leading private client practitioners in Switzerland. Furthermore, Chambers Global ranks him in the area of dispute resolution (as an Austrian and Spanish attorney practicing in Switzerland). Werner Jahnel previously worked as an associate at Monereo, Meyer & Marinel-Lo Abogados in Barcelona and Madrid (2006-2008), and in international arbitration with Andreas Reiner & Partners in Vienna (2002-2005). He was a legal counsel (1999-2001) and counsel ad hoc (2006) at the ICC in Paris (International Court of Arbitration, International Chamber of Commerce). He trained as a clerk in various Austrian courts (1996-1998) and was assistant to the Austrian trade commissioner in Montreal, Canada, in 1995. He holds a Ph.D. from the University of Graz in Austria, awarded in 2001 with distinction, and a Master’s degree in international studies (specialisation in public international law and international business law) from the Graduate Institute of International Studies in Geneva (1996-1998). He also studied law at the University of Lyon II, France, and obtained in 1995 his Magister der Rechtswissenschaften from the University of Graz, Austria. ‘His knowledge sets him apart’, ‘he's conscious and caring of clients. He doesn't make things last for a long time, he tackles it head-on and finds a solution pretty fast’. Zürich-based Werner Jahnel focuses on international commercial arbitration and acts as both arbitrator and counsel. He is qualified in Spain and Austria and boasts professional experience in both countries. He has recent experience of acting as an arbitrator in disputes regarding financial services joint ventures. ‘Very responsive and very knowledgeable in inheritance law’. Werner Jahnel is admitted to the Bar in Spain and Austria. He specialises in international arbitration. Werner Jahnel (...) has a wealth of experience as counsel and arbitrator in international proceedings. The highly regarded Werner Jahnel of Lalive is a Zurich-based arbitration expert with an impressive international record. Specific issues regarding the recognition and enforcement of foreign arbitral awards in Spain: Can arbitrators still use registered letters with acknowledgement of receipt? Vienna 20/09/2018 Werner Jahnel Speaker: Arbitration clauses and third parties – who is bound? La Paz 10/10/2014 Werner Jahnel Speaker: El cambio de la sede arbitral por parte de un tribunal arbitral o de una institución: ¿medida de buen proveer o exceso manifiesto a sus facultades conferidas? Geneva 03/12/2010 Werner Jahnel Arbitration at home or abroad, does it really matter?